The good news for wannabe developers though, is that it comes bundled with a commercial SDK, allowing free reign to design software for the device. 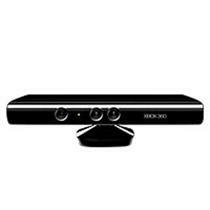 When Microsoft first launched Kinect, it was thought to be an Xbox only device made for motion controlled gaming. Once hackers got their hands on it though, they showed that the Kinect can be used for so much more - even practical non-gaming applications. The device has even become so popular for these purposes that books have been released on the very subject. Kinect will be coming out for Windows in February, but PC users will have to pay an additional $100 for the device, bringing the total cost to $249. Microsoft says it's still a hell of a deal though, when you take into consideration that tech like this would cost "tens of thousands of dollars just a few years ago." It's not exactly sound logic, but that's the company line. Kinect for Windows general manager Craig Eisler gives a more understandable reason. "The ability to sell Kinect for Xbox 360 at its current price point," he says, "is in large part subsidized by consumers buying a number of Kinect games, subscribing to Xbox Live, and making other transactions associated with the Xbox 360 ecosystem."